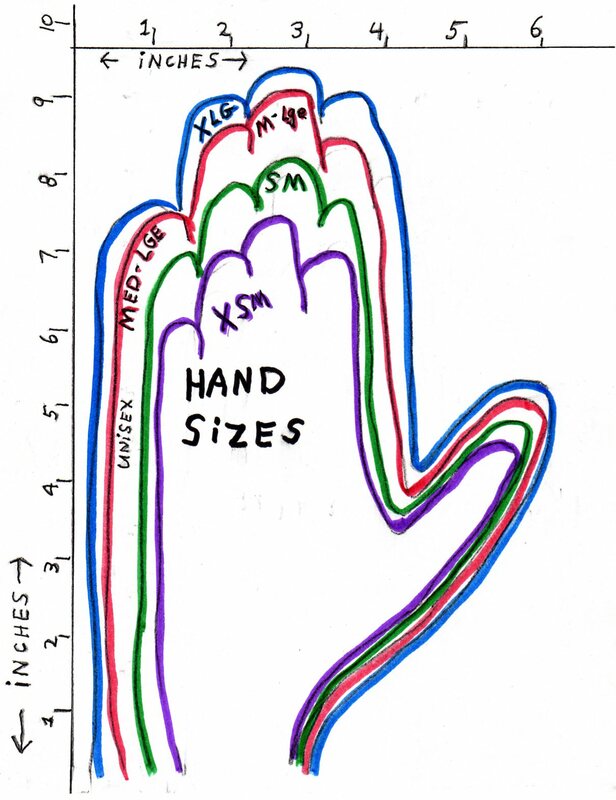 HAND SIZE CHART FOR MEN AND WOMEN FOR ALL 4 SIZES OF MITTENS. length so you can choose the right size mitt! When in doubt email me!